The terrifying and sad images emerging from last Saturday’s fires in central Portugal struck me in their similarity to the 2009 Black Saturday fires around Melbourne where I used to live. But the similarity is more than the day of the week, the record-high numbers of fatalities, the images of charred cars trapped along the road, and the human tragedy. 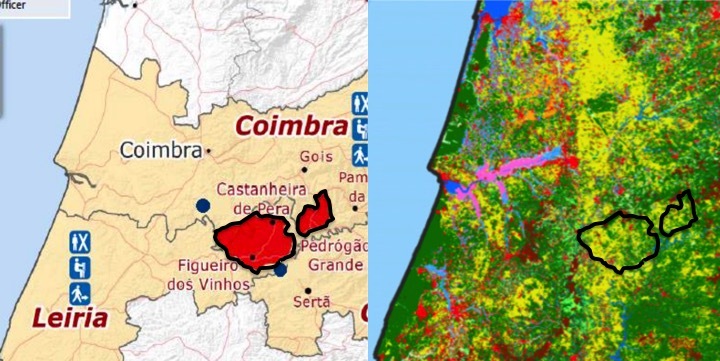 The other similarity is the vegetation: a fairly impressive portion of Portugal is covered by “neo-Australian” landscapes of introduced eucalyptus trees, as well as acacias and hakea. Map of location of June 17, 2017 fires (source: ERCC) on left, with fire areas juxtaposed manually on an extract of vegetation map of Portugal (source: Meneses et al. 2017). Yellow is eucalyptus; dark green is maritime pine. There are three main types of fire in Fiji. Sugar cane farmers burn their fields to facilitate hand harvesting. 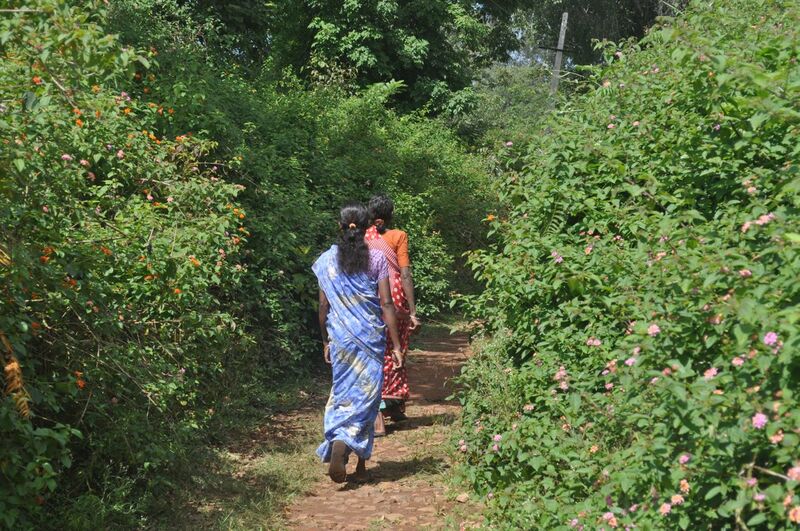 Village farmers clear forest plots, fallow fields, and secondary vegetation for diverse crops using fire. And finally, the fires that cover the most ground are those set in the grasslands of the drier, lee-side of the islands. And of course there are occasionally fires that cause trouble – late last year I saw a major fire burning through the pine plantations in southeastern Viti Levu. The prehistoric dynamics of fire, vegetation, and humans in Madagascar are still not resolved, though one might get a different impression from the simplified narrative told to galvanise conservation action. Clearly, humans visited, hunted, and eventually settled the island over the last several thousand years, and lit the vegetation on fire throughout. But what kinds of fire, in what kind of vegetation, how often, and with what impact? Charcoal and pollen in lake sediment cores and archaeological digs have informed most of our recent scientific understandings of fire history on the island. Perhaps further answers and hypotheses can be found from innovative botanical, remote sensing, and modelling research being done in Africa. 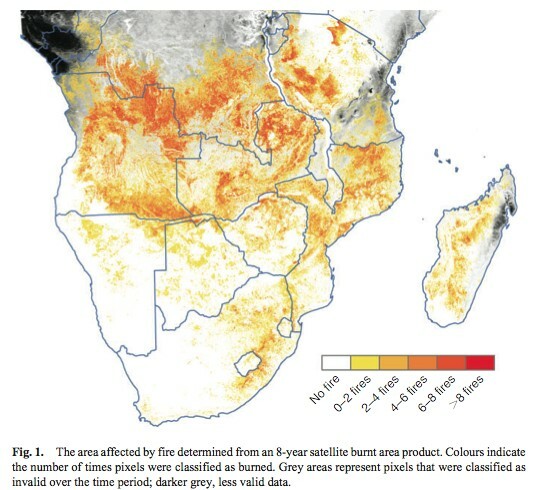 Most striking perhaps – in the face of all the alarmist discourse about the menace des feux de brousse in Madagascar – is how unimpressive Madagascar’s fires appear in any remote sensing image that includes neighbouring Africa (this one is taken from Archibald et al. 2010 in the International Journal of Wildland Fire).